Recently I received an exciting email from a publisher who had spotted a photo of mine that was perfect for a book cover for a new edition of a popular birding book. 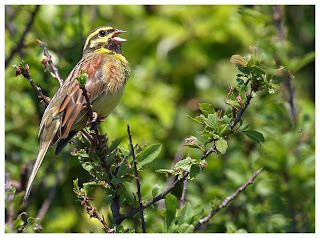 The book would be the 5th Edition of Where To Watch Birds in Devon and Cornwall (A & C Black Publishers), and the photo, that of a Cirl Bunting taken in May 2008 at Berry Head, would feature on the back cover. Would I allow them to use it? You betcha! So today, a parcel arrived at work and inside was the new book, with a fab shot of a peregrine falcon on the front, but on the back, there's my cirl bunting. Singing his head off on that fine sunny day. Fantastic. They even spelled my surname right! Apologies to anyone wondering if I'd vanished off the face of the earth - I've had 2 breaks lately, of sorts. Firstly, I had a planned break to Lanzarote (last week) and had been trying to decide what camera to take along. The 40D was favourite but a risk if there was no safe in the room. Then the 40D made the decision for me, whilst out on a walk alongside Coton Lakes with Max, when it came up with the dreaded Err 99 message and failed. Great. Break number 2. I'll post a quick report from Lanzarote later, though it wasn't a "birding" holiday. I did see a few birds around, even some with feathers! With the 40D broken though, I haven't been taking much of anything. 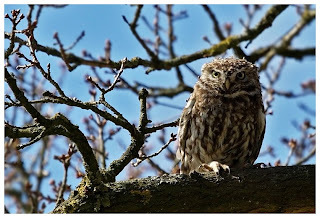 Got some more little owl shots with the old 350D (how did I ever manage with this!! It's so small) plus a few from around the Flashes at UW. As Arnie occasionally said though, "I'll be back". With a vertical band of cloud dividing the country, it was logical that I head west in search of sunshine and of course some feathery friends. 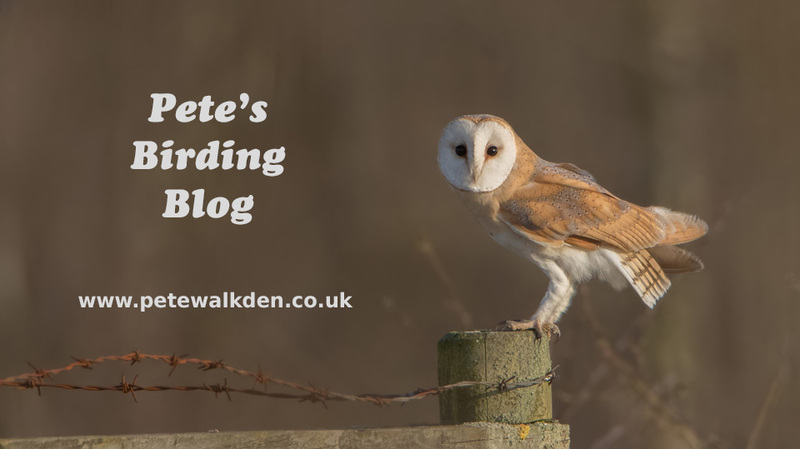 Last year I discovered a good spot for birding over in Shropshire, on and around Clee Hill, so that was where I headed. Normally on the hill, the weather is changeable and the winds, even in the summer, chilly, so I opted for thermals... bad move. Never seen the place so still and warm! I suppose it was a little early for all the good stuff to be back, but the usuals were around, and it didn't stop a male kestrel from performing a magic trick for me. Perched in glorious light on the top of a telegraph pole as I drove by. Stayed there as I turned around and parked up with the sun behind me. Stayed put as I opened the window and turned off the engine... then in the split second between picking up the camera and pointing it out of the window it had vanished. Keyser Soze, eat your heart out. On the hill, bobbing about were pied wagtails. 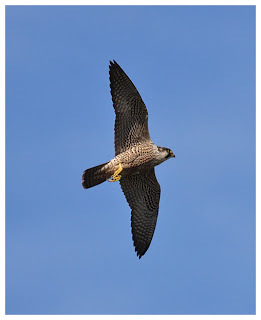 One male tried to court a female, by dancing around her, spreading his wings and tail - quite a sight. Not to her though, as she promptly pecked him on the head, sending him away in a flash. Romance eh? 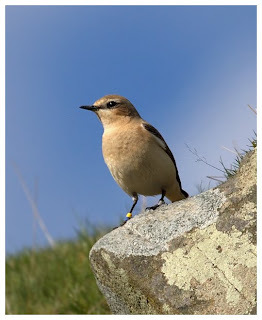 A few wheatears were also around, along with linnets, pipits and more robins than I remember from last year. 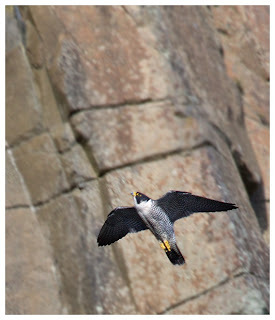 The main reason for heading up though wasn't the little birds, but for the fastest animal on the planet... the peregrine falcon. They made me wait for them, but when they did appear, it was certainly worthwhile. Screeches and wails, swoops and dives, going like a bat out of hell they were, appearing seemingly out of nowhere to hurtle by. I'll never tire of these wonderful hunters. I do wish they'd fly around more though, as the gaps between action were rather long, and as you don't want to take your eyes off where they appear, with the sun being out, I ended up looking like Batman's villain, Two Face... half my face red from sunburn! I had wanted to seek out the ring ouzels up there but before I knew it, the day was gone, and they would have to wait for another day. Well, so long as the falcons weren't around! A bit late for me but what the hell! Saturday was limited for birding as I played golf for the first time in the year (over at Tidbury Green) early morning and the afternoon was spent watching Worcester Warriors ensuring Guinness Premiership survival against the Saracens. I had a window of 2 hours available so zipped over to Upton Warren to see if I could spot the mealy redpoll at the Moors. I didn't! But, I did get to see a fine-looking blackcap (male) in great singing voice, though he wouldn't come out for a clear shot. For Sunday I'd decided to try for the red-necked grebe in summer plumage over at Draycote, and also if it was still around, the rare green-winged teal. 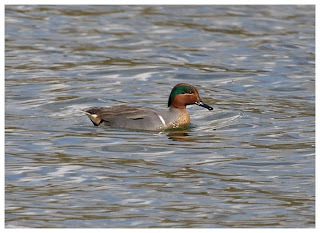 I have to admit I didn't know what the latter looked like as from the pics I'd seen it seemed rather similar to the normal teals. Me being unobservant probably! In the hide, I found someone at the window by the feeders and was about to consider where to sit to get shots from, when the birder turned around. It was Reg! He'd been trying for the teal for a while, though his dad had opted to take a walk around the corner to see if he could see it from there. Always good to see Reg, and he quickly pointed out the grebe... which then proceeded to go to sleep. 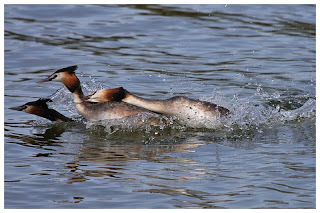 With the lake busy with fishermen, the birds seemed trapped in Toft Bay though they refused to come close to the hide. About 15 mins later though, he returned and promptly pointed out the teal. When someone explains the difference it's like night and day. Well, like a horizontal and vertical white stripe, at any rate. 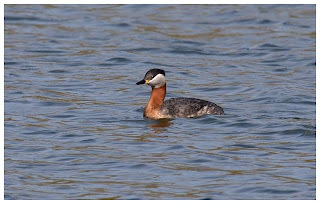 Though like the grebe, it was miles away from me. Reg and his dad then opted to head onwards to Brandon Marsh, leaving me in the hide alone, praying the grebe would wake up and come over. I wasn't alone long though, as after some more thundering steps down the boardwalk (can they find anything louder to line that walk with??) came Dave Hutton and Rich Dawkins. Both after pics of the 2 birds I was trying for. Having told Reg that I'd wait for no more than half an hour for the grebe to do something, I ended up being in there for hours. The grebe did wake up, and came a little closer, though I only really managed "record" shots of it. The teal also flew towards us, but stayed near the edge amongst trees, and far enough away for Dave to complain, even when he's shooting with an 800mm lens! Dave's great hearing also picked out a willow warbler, which we promptly located in the trees behind the hide. First of the year for me. On the way home I tried again for the local little owl, which kindly hopped around on a branch for me. 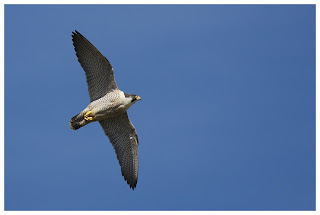 I also spoke to a local birder who gave me some ideas for places closer to home to explore... watch this space!